Jakarta, June 4th 2014 –Capitalizing on increased demand for meetings, conferences and exhibitions in Bali, Archipelago International has once again seized an opportunity for a quality hotel development in Bali, this time at the tropical tourist enclave of Jimbaran, just 15 minutes south of the Ngurah Rai airport. Aston Ungasan Hotel & Convention Center is situated on a hilltop above Bali's famed Jimbaran fishing village with unobstructed views of Jimbaran Bay and the spiritual Mount Agung. 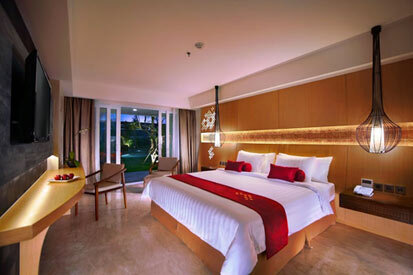 The hotel offers 268 guest rooms, 8 meeting rooms, and a grand ballroom that can accommodate up to 1750 guests. 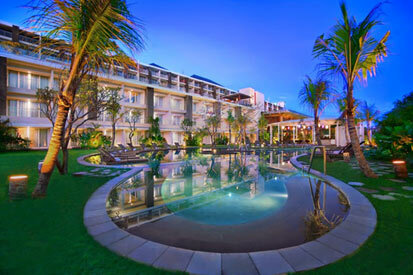 In addition to affording some of the best conference and function venues in Bali the hotel also features an array if facilities geared towards leisure travelers and families such as several swimming pools, a restaurant, bar and lounge, pool side bar and BBQ, full service spa, well equipped gymnasium, and a wedding chapel. With so many convenient amenities in a picturesque location, the upscale hotel is set to attract savvy conference organizers, as well as the discerning leisure traveller looking for a classy getaway in one of Bali’s most sought after locations. “We conceptualized this hotel to compete with the rather expensive hotels around the Nusa Dua Convention Center to offer a truly magnificent and more reasonably priced alternative for professional MICE organizers. We also outfitted the hotel with beautiful rooms, most of which have private balconies, and enough leisure facilities to please not only conference delegates but also the most demanding leisure travelers. We are confident that the Aston Ungasan will be a new icon for Bali and be quickly recognized as one of the islands leading MICE destinations and a family friendly resort.” says Norbert Vas, Vice President of Sales & Marketing Archipelago International. 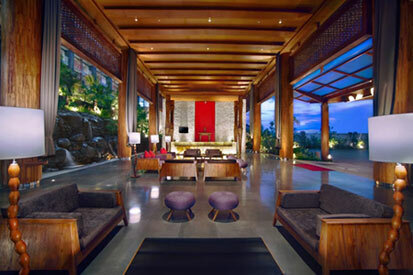 Archipelago International hotels operate under the hotel brands Grand Aston, Aston, Aston City, Alana, Harper, Quest, Quest Vibe, favehotels, NEO and Kamuela, ranging from ultra-luxurious private pool villas to serviced apartments and select service economy class hotels, thus offering Indonesia’s vastest and most comprehensive hotel network.